How to Ace the NBME Shelf Exams, In-Training Exams and Your Boards. Ok, now that I have your attention, let me share something with you. I’m going to show you how to maximize what you learn from the “school” we call rotations in medical school and residency so you can be an awesome master clinician. And, yes, it’s going to help you with your exams, so stay with me. At the beginning of each rotation, decide what topics you need to learn during the rotation and make a list. Figure out how you will store your notes so you can find them quickly and organize them for review. Go through the notes you make every day to review them and then store them in your system. Somewhere around the beginning of my third year of residency, I was sitting in the “dome” (the chief resident’s “office” above OR 1 in our County Hospital) when Fred, one of my fellow 3rd years, walked in. He sat down and started to look through a stack of 3×5 cards so I asked him what he was doing. We all knew that he had scored the highest in our class on the ABSITE (the surgery in-service exam) and I was about to find out why. Fred figured out from day one that there was no way he was going to be able to study like he did in college and during basic sciences. Instead of hours to sit and read, it had to be flexible “on the job” learning. This mindset is probably the single more important thing to cultivate. It’s the thing that drives you to constantly ask questions about why things are done the way they are and then go look up the answers. Your list can be pretty simple, or more complex, but it needs to be enough. Second hint – There is no way in medical school that “surgery” (or any specialty) can be covered in 8-12 lectures. The same is true for your rotations in residency. You have to do more. This is one time that an example may be better than a formula. Let’s say I’m a brand new clinical student on my core surgery rotation…. Step 1. Find a textbook of Surgery and make a list of the topics from the chapters. A spreadsheet may be best for this, but any kind of list will do. Step 2. Breathe deeply. There are 72 chapters and no, you are not going to read all these pages. Step 3. Create a schedule to SKIM every chapter during the rotation. Look only at the “big picture” i.e. headings, section titles, diagrams, tables. Your schedule should leave the last week or two free. So, for example, if your rotation is 2 months long, plan to SKIM 12 chapters a week to get them done in 6 weeks. Step 4 – Now we get to the real deal (remember, this is graduate school and/or specialty training). List the sections on your spreadsheet. Reading textbooks or other curricular readings. Take the time to make the notes and make them well so you never have to go back to the chapter to review it. As you can imagine, once I started this system, I was making 10-20 notes a day. It is remarkable how much you learn in a given day… and how it’s almost instantly gone if you don’t write it down. In three years I filled up two boxes with cards. These cards were the only thing I reviewed for my Board exams. This is why using a notebook isn’t the best way to keep notes on rotations. You’ll take them chronologically and, unless you have an amazing index at the back with all the key words and pages listed, you’ll never be able to find a specific note. The key is being able to “file” the notes so you can find them. For the 3×5 system, leave a blank square at the top to put the topic you’ll use to file them. This is very old-fashioned (but very effective) system.. I personally think there are better ways to do this now using scanning, cloud storage, key words and tags. For some ideas, check out this post. What doesn’t work well is to try to type notes on your phone. What REALLY doesn’t work is to make notes and then decide to copy them, type them or somehow redo them later. (It never happens). 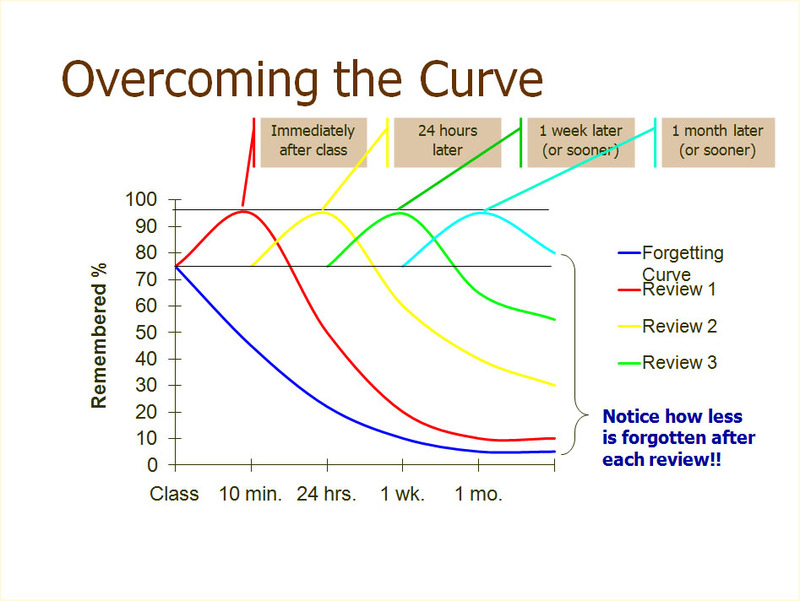 The key to learning (as opposed to memorizing for a test) is review. Simply filing the cards means you are reviewing them. Plan to pull them out to look at them (and all the work you accomplished!) every week or two. More importantly, when you see a patient with pancreatitis 5 months from now on a different rotation, pull the cards you made on this rotation. You’ll find you have 20 or so cards (or card equivalents) on pancreatitis … a review of the Surgery textbook, notes from Grand Rounds, the 3 patients you saw with pancreatitis that taught you about the disease and a few pearls you learned on rounds from your chief resident. I’m really serious. Not only will you suffer when you are taking care of patients, you won’t do as well on the tests (despite what the upper level students or residents tell you). Remember the last two weeks of the rotation that you saved? Now’s the time to pull out the review books. It’s a wonderful way to review what you have learned from your skimming and patient oriented reading. It’s also a great way to identify gaps and look up information. p.s. Take more notes while you are doing this. p.p.s Review all your notes, including the ones you make from the review books. On the flight home yesterday I finished Big Magic: Creative Living Beyond Fear by Elizabeth Gilbert (She’s probably known to you for her NY Times Best Seller Eat, Pray, Love). For me, one of the overarching messages of her book was this – When you see what you do as your vocation (from Latin vocātiō, meaning “a call or summons”), and not just your job, it will transform how you view your work – a concept which I believe may be necessary (but not sufficient) to treat or prevent burnout. Just show up. Every day. 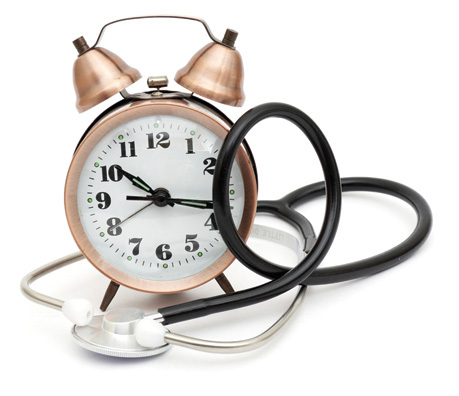 Learning and practicing medicine (or any other field) means showing up – really showing up – every day. Everyone in the first year of medical school learns that it is different than college. Cramming for exams is not only ineffective, it’s just wrong. You are no longer studying for a grade on a test…. it’s now about the patients you will take care of in the future. The same holds true during residency and when you begin your practice. It’s not just when you are a trainee. Part of the “work” of medicine remains “unglamorous, disciplined labor”… keeping up with the literature, going to teaching conferences when you could be doing something else, finishing your hospital charts, being on call. But the work of medicine is also about showing up every day in another sense, too – truly showing up for the people who rely on you – no matter what. That, too, can be “unglamorous, disciplined labor” when you are tired or stressed. “They are your patients… from the first day of medical school until you retire. Caring for others gives us joy but also gives us the responsibility to know the best thing to do for them. Whether you are a first year student, 3rd year resident or a PGY35 attending, we are all still learning. “Life long learning” is not just a phrase, it’s the reality of what we do. It’s called the practice of medicine for a reason. Learn the art of deliberate practice early. Deliberate practice, to use a musical analogy I learned in Cal Newton’s fantastic book So Good They Can’t Ignore You: Why Skills Trump Passion in the Quest for Work You Love, doesn’t mean playing the piece from start to finish 20 times in an hour. It means spending 55 minutes on the small section that you struggle with, repeating it 100 times before you play the piece through once. It means instead of reading the comfortable material on the anatomy of the kidney, you deliberately tackle how the nephron works. It means that instead of doing the computer-simulated cholecystectomy 10 times you spend an hour tying intracorporeal knots in the trainer. Find the thing that is not easy and practice it over and over until it becomes easy. One of the greatest attributes of those who care for others is their devotion to the people they serve. But perfectionism, taken to its extreme, is dangerous. Extending your time to study for Step 1 beyond what is reasonable to try to get a higher score, revisiting decisions about patient care to the point of anxiety, worrying that your GPA has to be perfect are all counterproductive. The motivation to do well is like a cardiac sarcomere – a little worry will make you more effective, but stretched too far, there won’t be any output at all. It’s something most students don’t realize, but no matter how long you practice medicine, there are days when you are afraid. It takes courage to do what we do. Remember, being courageous is not an absence of fear, it’s being able to do what’s right despite the fear. I agree complete with Elizabeth Gilbert that curiosity helps. When you have something that doesn’t go the way you expect or frightens you, instead of beating yourself up (“I should have studied more”….”I could have made a different decision”…etc…etc) become curious. If you are thinking about a complication, commit to finding everything you can about the procedure and how to prevent complications. If you didn’t do as well on your test as you thought you should, look up different techniques to study, take notes, and remember information, and go back to make sure you really understood what was being tested. Even more powerful than curiosity is gratitude. Fear and gratitude cannot exist at the same moment. Try it – the next time you are about to snap because your EMR freezes be grateful that you can see the computer, be grateful you have work, be grateful you have been trained to help other human beings …and see what happens. Your worth is not the same as your “success”. Wow…. This one is so important. It’s not what you make on Step 1. It’s not how many cases you do, how many patients you see or how much money you make. 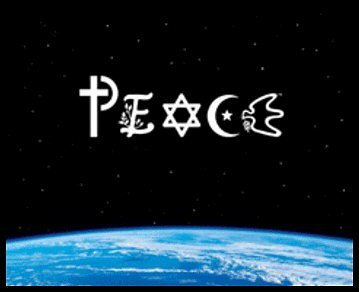 This concept is taught by every religion and philosopher I know – for a reason. Be devoted to doing the best you can and to forgiving yourself (and learning from it) when you fall short. One last thing….for medical students trying to choose a specialty – forget about finding your passion. This is a little longer quote than the others, and mirrors a similar message in So Good They Can’t Ignore You: Why Skills Trump Passion in the Quest for Work You Love . Find something, even a little tiny thing, that makes you curious (or fills you with wonder) and follow it. Dedicate yourself to following that curiosity and it will likely lead you to your career. “May I also urge you to forget about passion? Perhaps you are surprised to hear this from me, but I am somewhat against passion. Or at least, I am against the preaching of passion. I don’t believe in telling people, “All you need to do is to follow your passion, and everything will be fine.” I think this can be an unhelpful and even cruel suggestion at times. First of all, it can be an unnecessary piece of advice, because if someone has a clear passion, odds are they’re already following it and they don’t need anyone to tell them to pursue it…..I believe that curiosity is the secret. Curiosity is the truth and the way of creative living. Curiosity is the alpha and the omega, the beginning and the end. Furthermore, curiosity is accessible to everyone…..In fact, curiosity only ever asks one simple question: “Is there anything you’re interested in?” Anything? Even a tiny bit? No matter how mundane or small?….But in that moment, if you can pause and identify even one tiny speck of interest in something, then curiosity will ask you to turn your head a quarter of an inch and look at the thing a wee bit closer. Do it. It’s a clue. It might seem like nothing, but it’s a clue. Follow that clue. Trust it. See where curiosity will lead you next. Then follow the next clue, and the next, and the next. Remember, it doesn’t have to be a voice in the desert; it’s just a harmless little scavenger hunt. Following that scavenger hunt of curiosity can lead you to amazing, unexpected places. It may even eventually lead you to your passion—albeit through a strange, untraceable passageway of back alleys, underground caves, and secret doors. *Italics are quotes from Big Magic: Creative Living Beyond Fear. Since I read this on my Kindle, I don’t have page numbers! Among my other educational roles, I have the real pleasure of teaching embryology for the Baylor College of Medicine MS1 class. Recently, while visiting with students before a lecture, I happened to see a set of notes on several of the students’ laptops. They had the slides from my lecture with additional notes, all organized to study efficiently. I asked them if they would mind sending me information so I could post it here since I thought this might be useful to other medical students. 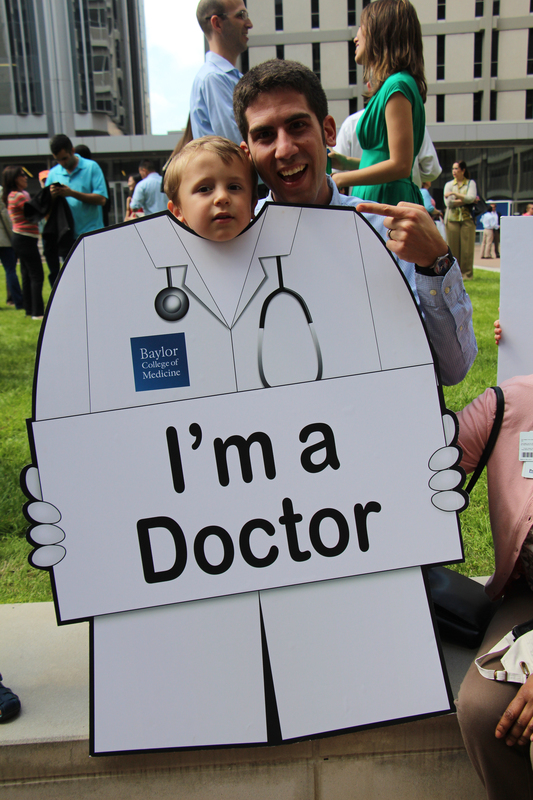 The following is a guest blog from Samuel Buck and Sara Fish, both first year medical students at Baylor College of Medicine with assistance from Sam Rogers, an MS3. OneNote – This is the program that I use for notes during class. Using OneNote, you can import entire power point presentations (even the notes at the bottom of each slide) into a single document and add your own notes and drawings as well. OneNote allows you to organize all the lecture materials and slides in one place. Word documents, powerpoints, PDFs, images, and Excel sheets can be placed in tabs in your “notebook”. From here, you can easily navigate, add your own notes and text, highlight, or draw on the slides. I usually use the draw functions to add arrows to radiographic images or to circle important points on slides. I usually organize my notes by subject but other students organize by date, with tabs for each block, each week within the block, and day of the week, and individual note pages for each lecture that day. Other students organize notes into separate digital “notebooks” by block or by course (i.e one for embryology, one for anatomy, etc) The most convenient thing about OneNote is that all of your notes are synced to a Microsoft SkyDrive (their version of the iCloud) so that you can access your notes on the iPad and phone. If I’m studying and ever need to consult my notes from class, I can just take out my iPad or if I’m on the go, my phone and reference the lectures or notes in a really organized fashion. Having OneNote on my iPad let’s me review notes when I am on the bus or in other situations where it’s hard to get your computer out. This is one feature that Mac users with Growly Notes (basically the OneNote equivalent) do not have since there is no Growly Notes app for the iPad. One of the most useful tools in OneNote is the find function. You can type in a keyword and OneNote will search your entire notebook and show you every instance when that word is used. This is very helpful because a huge number of documents can be scanned at once. Since many concepts in our classes overlap, it helps to make connections between subjects. For instance, if something is mentioned in embryology and you feel like you have heard that word before, but you don’t know where, you can search it and find the lectures in which it was previously mentioned. Here are links to additional “tutorials” on using OneNote in medical school from the University of Kansas and UT Health Science Center in San Antonio that will give you more details on using OneNote to organize your studying in medical school. One of the most useful tools in OneNote is the find function. You can type in a keyword and OneNote will search your entire notebook and show you every instance when that word is used. This is very helpful because a huge number of documents can be scanned at once. Since many concepts in our classes overlap, it helps to make connections between subjects. For instance, if something is mentioned in embryology and you feel like you have heard that word before, but you don’t know where, you can search it and find the lectures in which it was previously mentioned. EverNote – Although there are some students who use Evernote to organize their notes in medical school, I found that format is not really conducive to good organization of notes. I do really like the mobile layout of the app and I use EverNote extensively for “every day” note taking. Grocery lists, work out programs, random ideas, to do lists, jotting down an email or name I want to remember. One thing I really like about EverNote is that when you make a note, it generates a time and location stamp for the notes. Growly Notes – This is probably the most popular note taking program for our class because it is made for Apple computers. I personally don’t have any experience with it as a PC user, but it has a great organization format as far as I can tell. Google Drive – Not to be overlooked is the tried and true Google Documents. Whether it be study guides or notes, it’s hard to beat the convenience of Google Drive if your goal is mass editing and sharing. Sharing the link to your document is easy, and it can be set up so that anyone who views the document can also edit it. Just like DropBox, this isn’t HIPPA compliant, so don’t share patient information. TurboScan – This is an app that takes pictures of documents and turns them into PDF files that you can email to people (or yourself) or upload to DropBox. I do this for all class handouts to have an immediate digital copy of any paper items we get in class or study groups. I can email files to myself and post them into my OneNote documents. I also use this app for personal finances. I take a picture of my receipts from grocery shopping and going out as well as my bills so that I can better budget myself and keep track of purchases.